The Gryphon looks ahead at what to expect in the Northern Hemisphere’s premier tournament. February is upon us, which means only one thing; it’s Six Nations time. With this year also being a World Cup year, the tournament is the perfect opportunity to showcase the strength of the Northern Hemisphere teams. France and Wales kick off of the tournament playing on the 1st February in Paris and both will hope to get off to a good start. The first round of fixtures throws up the game that could potentially confirm the eventual champions of the 2019 tournament. Ireland are the team to beat this year after comfortably winning their third Grand Slam at Twickenham in 2018. Last November saw a fantastic winning performance over New Zealand, proving their great form going into to the tournament and definitely making them the team to beat this year. England head into the tournament as the second shortest-priced team to win the title at 7/2. They will aim to improve on last year’s fifth place performance after losing to Scotland, France and Ireland. Eddie Jones has a much stronger squad to pick from this year making them next favourites behind the reigning champions. Although captain Owen Farrell is carrying an injury, Jones is hoping he should be fit for their opening game on Saturday away at Ireland. 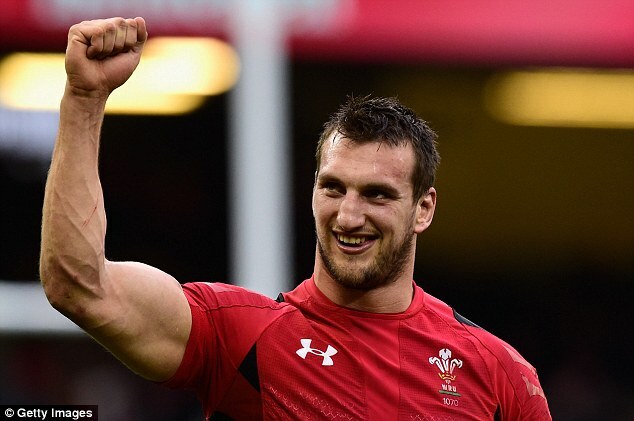 Sam Warburton will be a major miss to Wales. England’s first few fixtures will prove challenging for them as they play last year’s second place Wales at the Millennium Stadium in their third fixture. For the Welsh side, this will be a huge advantage as they play both England and Ireland at home, where they have historically been a strong side on home turf. Losing Sam Warburton to retirement will be a big loss for Wales alongside the loss of Taulupe Faletau meaning there are big boots left to fill for the Welsh side. However, if Wales manage to string some good performances together at home they could potentially be in for a chance of victory this year. A resurgent Scotland will be confident of doing better than last year. Beating England to win the Calcutta Cup was a huge highlight for them last year and this year has also shown success with getting both their club sides into the quarter finals of the Champions Cup. Scotland are difficult to beat at Murrayfield and with 3 of their 5 games being at home, confidence will be high. Winning at Twickenham and France will be the biggest challenge of the competition for Scotland. France enter this year’s Six Nations competition in ninth place in the world rankings. After losing their last eight matches away from home the pressure is increasing in order to prove their status as a major rugby power. Who knows which France will turn up. Last year the best defensive team lost some of their flamboyant style, but if both sides of their game can co-operate, you can not rule them out. A good opening result in Paris on Friday night will be vital, but away games against both England and Ireland will make it a hard championship to win. The perennial wooden spoon team Italy, will struggle to finish anywhere higher than sixth, but they will nonetheless try and sneak a victory from one of their three home games. Last year’s tournament saw them finish with just one point but O’Shea insists that they are making progress. With Italy suffering 17 straight defeats, they enter the Six Nations this year at 1000/1. My Prediction: If Ireland get off to a good start against England on Saturday, then they will go on to win the title. But watch out for a wounded England.